We feel like we take a lot of beautiful wedding photos throughout the city hall building for every couple we work with. We painstakingly make sure that we take our couples to all of the best spots in the venue and create lasting memories. 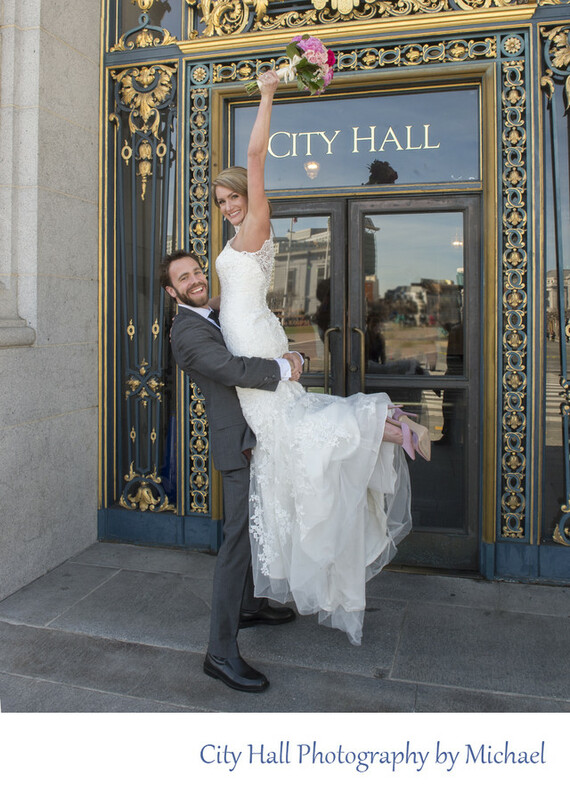 The funny thing to us is that with all that effort and attention to detail it still seems that the most important photo for each of our brides and grooms is the shot at the main entrance in front of the city hall sign. We know that we ALWAYS have to get this shot. In the image above, we did some standard poses, but then did this fun cheering shot which ended up being a favorite!